Home #WeightLossWednesday Weight Loss Wednesday Linky Is Back Again! How awesome is it to have Beth back in the fold and for Weight Loss Wednesday to be resurrected once more! I shall literally be joining in when I can and when I require the extra push of motivation to get on through. In my 2016 Challenge post, I mentioned that I would still like to lose more weight, on top of the 4 stone loss from last year. 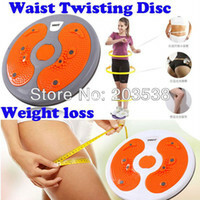 I have now extended that to another 2 stone loss (in my mind) and is something I am today working towards. I haven’t really taken dieting too seriously so far this year, it appears to come naturally now that I know when I have had enough food and that is it. So my mindset has definitely changed with the weight loss! Yesterday was my birthday, so any thoughts of dieting were ignored and I simply enjoyed the day… and a lovely lunch out! Black Pudding is now classed as a super food… so therefore my lunch was healthy – that’s my excuse and I am sticking to it! I also have my eye on some rather awesome new women’s running trainers – that I really cannot say anything about as they do not launch until later today *sigh*… the only thing I can say is that they are purple! Though now I need to focus, I’ve had my fun and need to start getting serious about shifting the scales even further down. I am restarting on the New You Plan again and have stocked up on the rather delicious Banana Shakes to get me through. I do not wish to get stuck in a complacent rut of simply relying on the shakes for moments when I think I need them so will go right through now to target weight. So yes, expect me to be taking part with WLW and helping see Beth through her journey too. If you would like to feature the #WeightLossWednesday badge, please take this code! Don’t forget to tweet us! 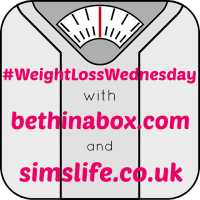 @SimsLifeBlog @BethInABoxUK with #WeightLossWednesday! Epson EcoTank L355 Review – Can Ink Really Last 2 Years? What Do You Buy The Dog That Has Everything? Third Week Of The 30 Day Detox… Boom! Is A Personal Trainer Actually Worth It? Your lunch looks lush by the way, although I can’t say I could eat the black pudding urgh!!!! Hi Kirsty – of course you can join in! Between Beth and I, we will be keeping Weight Loss Wednesday running again through 2016! Thank you so much for linking up!